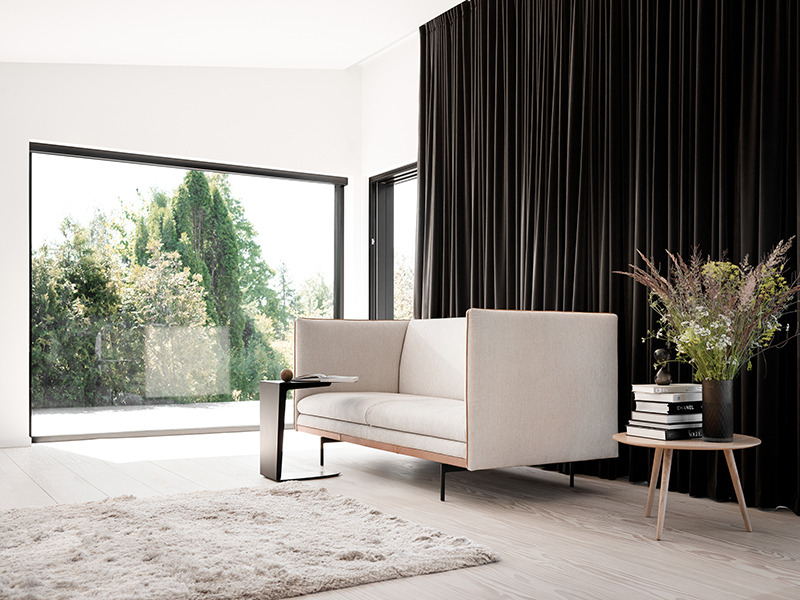 The Nantes sofa by BoConcept is designed with strict lines that easily interact with modern architecture. The sofa is built on a frame which makes it look like it is floating. The elegant silhouette is elevated and made lighter with tall slim legs which are always included in matt black metal. The Nantes sofa is available as a single 2 seater and comes with your choice of over 100 premium leathers and fabrics to suit your personal style.